Bartending 101: July 4th surprise! You thought I would skip this weekend! Um no. I have just two drinks this holiday. One for us and one for my friends up north. I wanted to push my boundaries with my presentation. First we have the freedom flag. Yes. Sparklers. Why not? Lol. The red layer is strawberries, the blue is a blue caracao and rum mix, and the white is pina coloda. 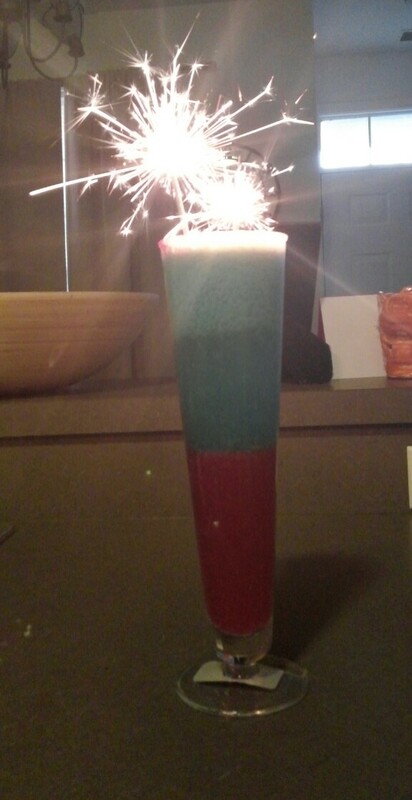 The glass is rimmed with red, white, and blue sugar! Yes, I went all out, and it was tasty! For my Canadian brothers and sisters, since their independence day was on the first, I made the Canadian Swirl. We did it again! The red and white are the same as above, but in the red mix are muddled strawberries too. 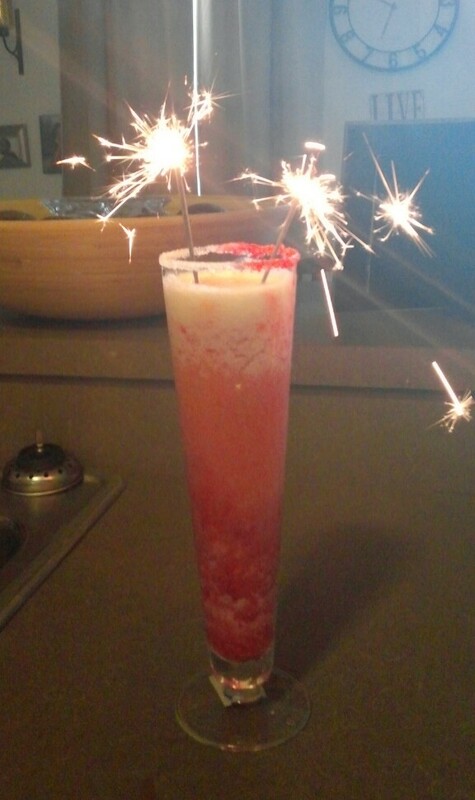 We have red and white sugar on the rim and more fireworks! Yes, I’m crazy like that. In my defense, you have to keep you creativity ahead of the competition when bartending is involved. I won’t tell how I got the sparklers to stay in without burning anything. I’ll say this, easier than I thought. Next Post Cooking made easy, afforable, and under 30 minutes.